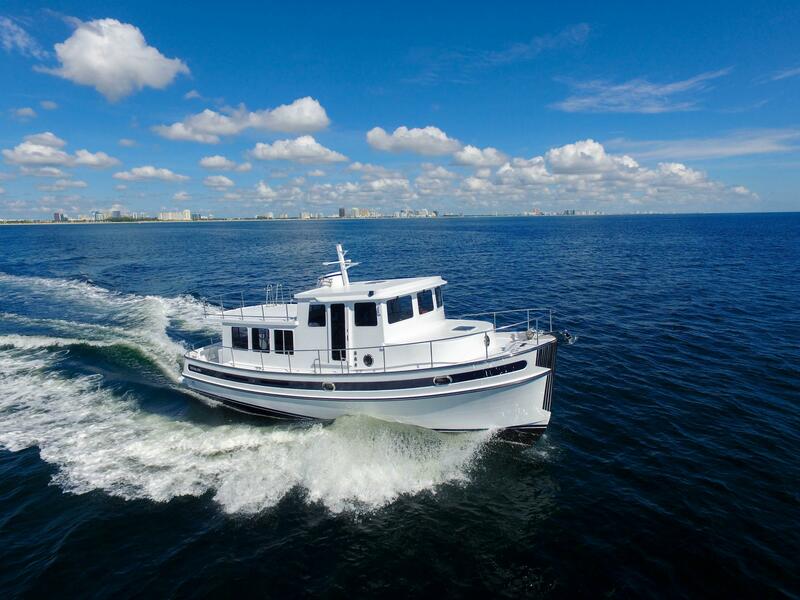 Nordic Tugs has been manufacturing hand-crafted tug style yachts and trawlers since 1980. 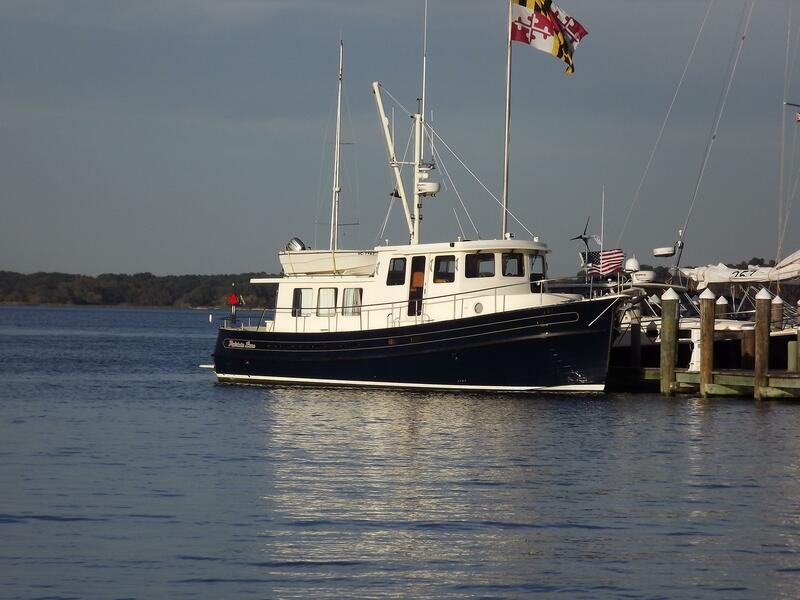 Known for its distinctive, high-quality yachts built for cruising, Nordic Tugs is the pioneer of the pleasure tug industry. Nordic Tugs is NMMA Certified. 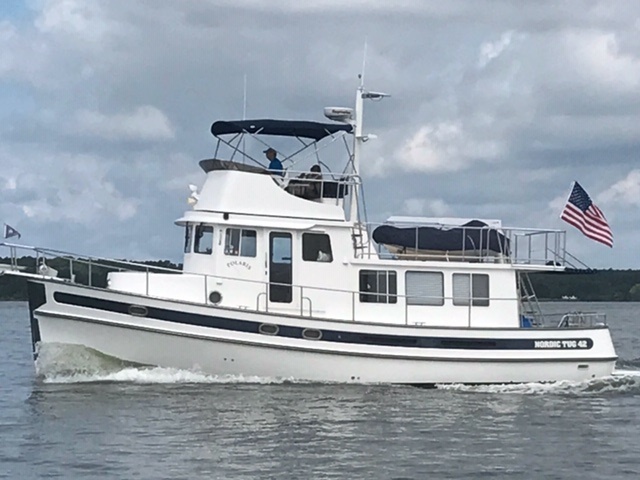 Its hulls are designed for a smooth ride, and each Nordic Tugs trawler is built with accommodating layouts and amenities to provide comfortable cruising. Worth Noting: Nordic Tugs is an offshoot of a company that built sailboats in the 1970's. Nordic Tugs 26 1980 - Current 26' 4" 9' 6" 3' 3"
Nordic Tugs 32 1986 - Current 34' 2" 11' 0" 3' 6"
Nordic Tugs 34 2010 - Current 34' 11" 11' 4" 3' 8"
Nordic Tugs 37 1998 - Current 39' 2" 12' 11" 4' 0"
Nordic Tugs 39 2010 - Current 40' 0" 12' 11" 4' 4"
Nordic Tugs 42 1996 - Current 44' 8" 13' 10" 4' 4"
Nordic Tugs 44 2014 - Current 44' 8" 13' 10" 4' 7"
Nordic Tugs 49 2009 - Current 52' 3" 16' 1" 4' 2"
Nordic Tugs 52/54 2004 - Current 56' 10" 16' 10" 4' 10"
Nordic Tugs has earned a stellar reputation for building strong cruising boats for the North American and European mid-size trawler markets that are recognized throughout the yachting industry as the "gold standard" for quality. 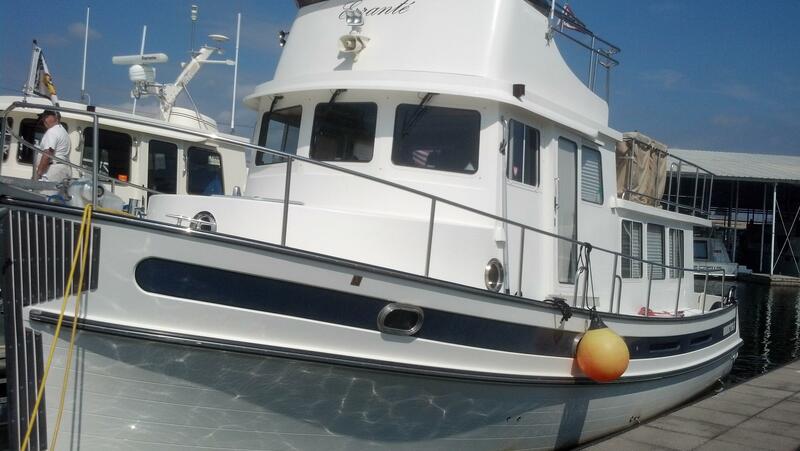 Having built trouble-free tug-style trawlers for over 30 years allows Nordic Tugs to offer you a 10-year structural hull warranty. Nordic Tugs sea trials every trawler (almost 800 of them now) prior to shipping. No expense is spared when it comes to the essentials such as construction quality, comfort, safety, fuel efficiency, and reliability. This extra attention to detail has helped build an outstanding reputation for quality. A reputation that insists on superior craftsmanship, rugged construction, and staying in the forefront of engineering technology. 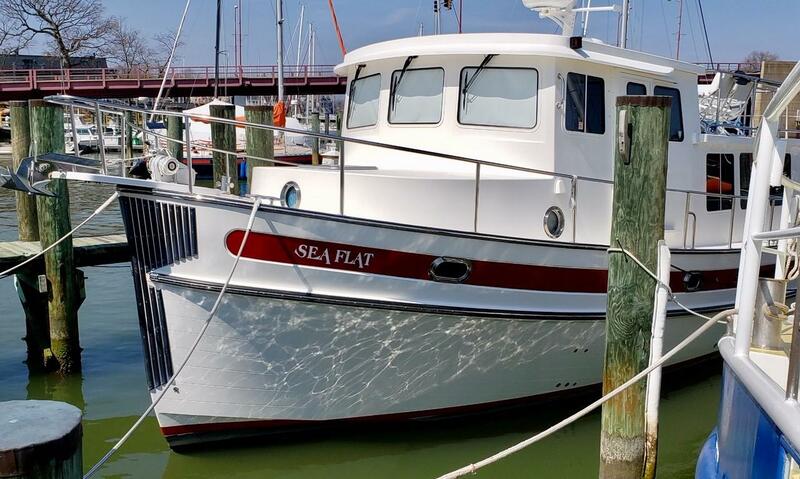 Rest assured, your Nordic Tugs trawler will give you years of safety and comfort on the water and offers one of the highest resale values of any trawler on the market. In December 2010, the Nordic Tugs facility restarted full production after a brief pause. 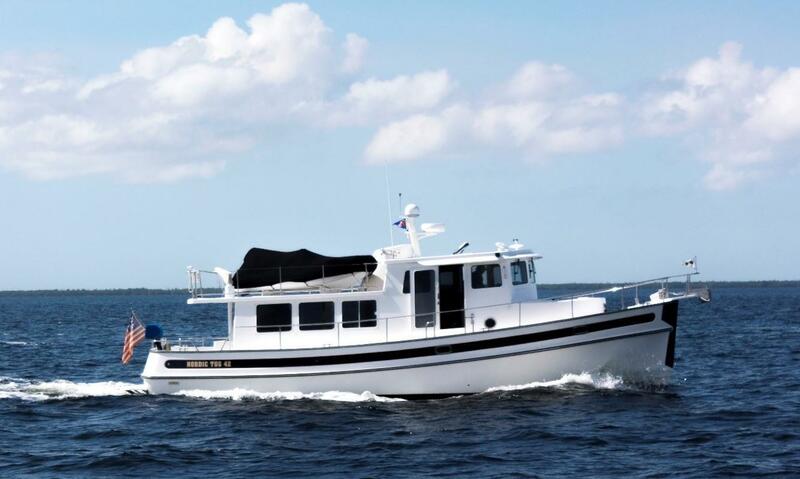 Currently Nordic Tugs is producing the following models: Nordic Tugs 54, Nordic Tugs 49, Nordic Tugs 42, Nordic Tugs 37, Nordic Tugs 32, and Nordic Tugs 26.